Why aren’t dual flush valves the default choice in public bathrooms? 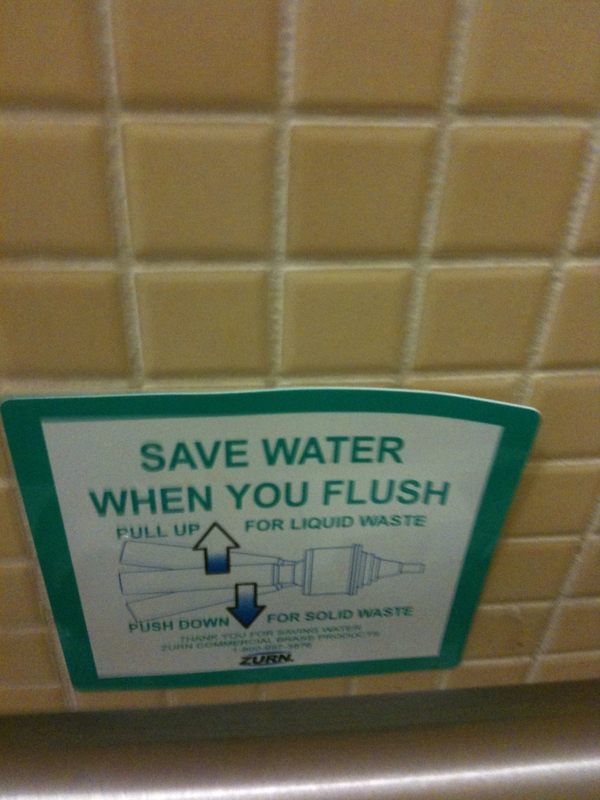 Tom Vanderbilt sends along this photo from a Stanford restroom. It’s a simple idea that seems like it should be everywhere.